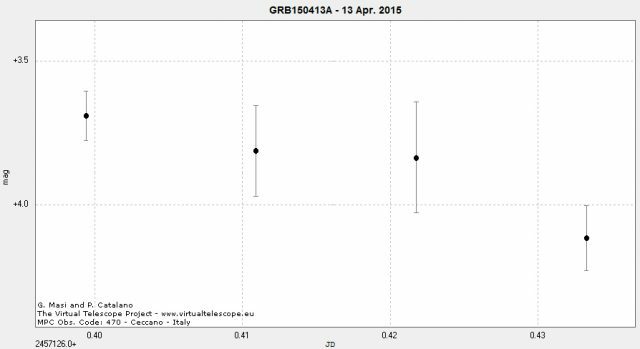 On 13 April 2015, at 13:54:58 UT, the Swift Burst Alert Telescope (BAT) triggered and located GRB 150413A. This detection was reported via the Nasa’s GCN 17688 Circular. 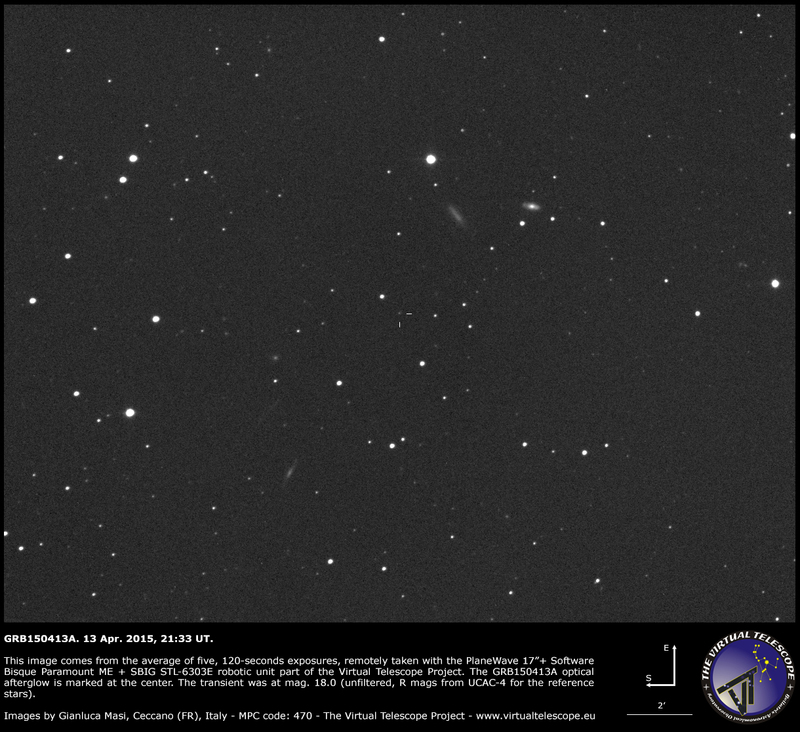 132 seconds after the burst, the MASTER II robotic telescope located in Tunka detected a bright OT (mag 16.1 unfiltered) within the Swift’s error box (GCN 17689). The image above comes from the average of five, 120-seconds exposures. We managed to cover the transient for about 1 hour, detecting a slowly fading trend. The plot below shows differential photometry of the transient, making apparent the fading trend. Each doth is the average of seven, 120-seconds integration frames. Observations at Calar Alto Observatory and Asiago Observatory suggest a redshift z=3.2.